In this article, you'll learn how to set up your graded discussion so that it will automatically grade your students' participation. (You can also manually-grade these assignments. You can add the due date when you first create the assignment. 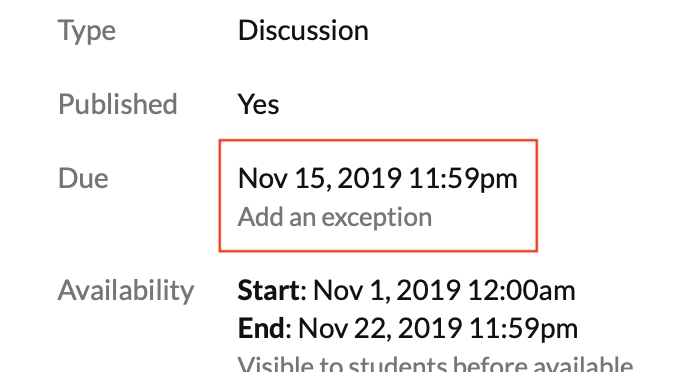 You can add (or edit) the due date on the assignment's page. You can add or change the due date when you edit all groups and assignments on the course gradebook. Auto grading will refer to your grading requirements when it calculates the grade. You'll need to set up at least one grading requirement in order for auto grading to work! Comments Closed: You'll need to set a date/time at which the discussion will automatically close for new comments/replies. Select Date from the drop-down. Enter the date/time. The date must be on or after the assignment's due date! Auto Grade: Enter the date/time at which you wish the assignment to be automatically graded. The time must fall on or after the Comments Closed date/time. 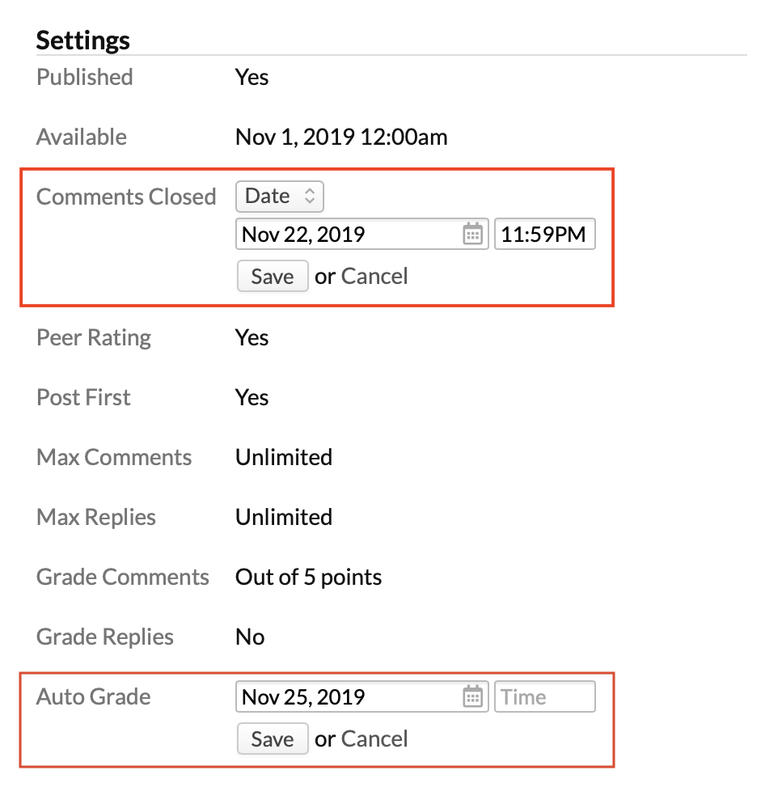 On the date/time you've entered in the Auto Grade settings, Populi will tally each student's discussion contributions, compare them to your grading requirements, and assign each student a grade for the assignment. This grade will automatically push to the course gradebook and be figured into the student's final grade. You can disable auto-grading by editing the setting and deleting the date you entered.